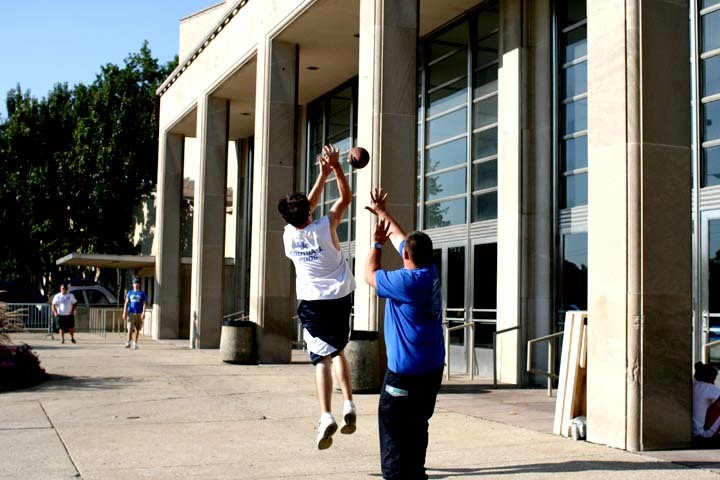 Feature hunting from the Big Blue Madness ticket line. 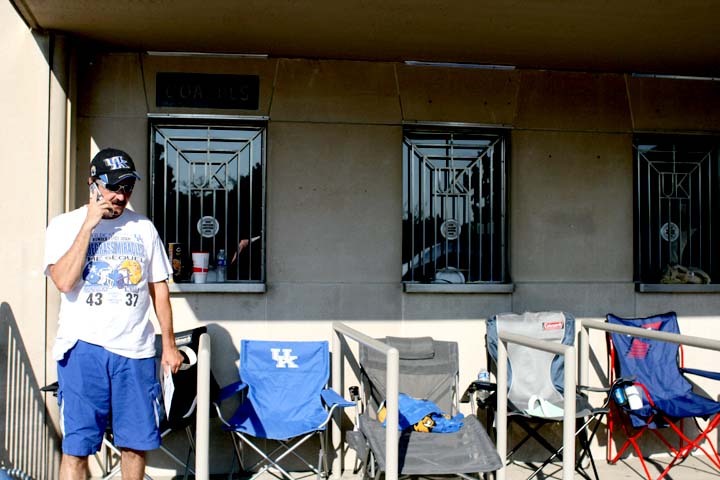 These are photos of the creators of Wildcat Nation, who were first in line. 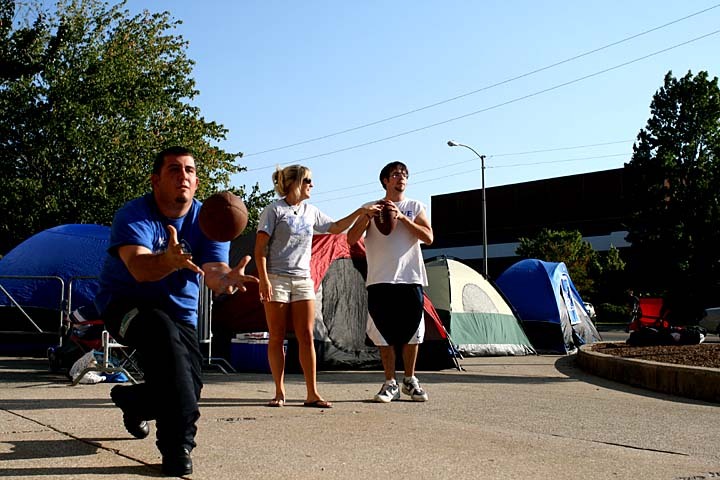 Banta, left, junior nutrition major Chelsea Bolton, middle, and Brizendine, right, play football. Jim and I went out for a flash lesson. 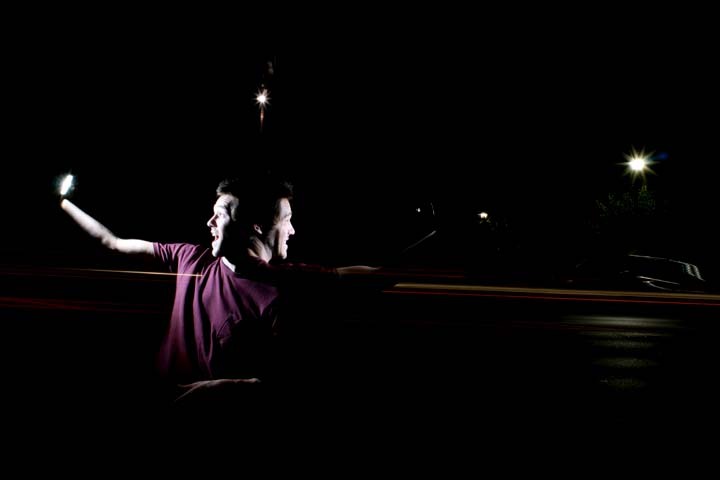 This is Jim getting blinded by the lights. Close your eyes Jim!